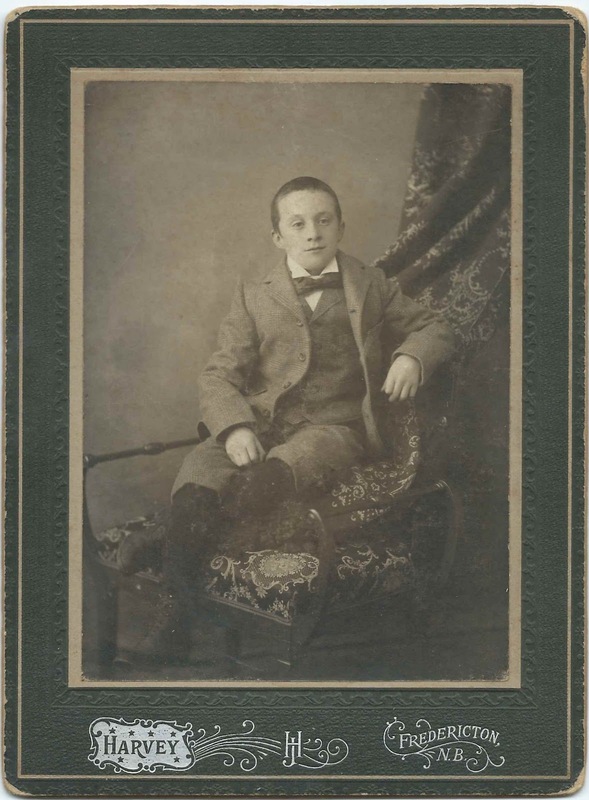 Photograph dated December 1900 of ten year old Willie J. Johnston of Gibson, New Brunswick, now part of the provincial capital city of Fredericton. 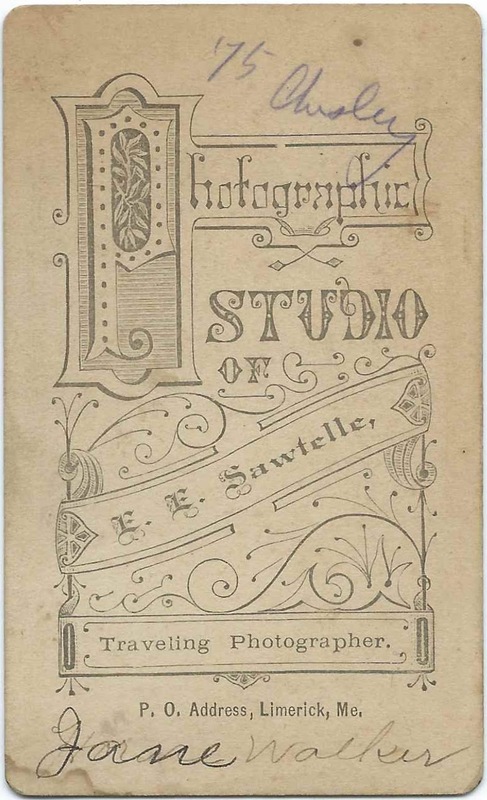 The photograph was taken at the Harvey studio. 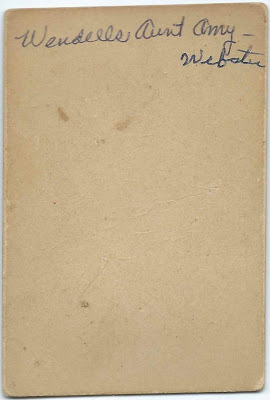 Willie is presumably the William James Johnston who was born January 1, 1891 at Gibson, New Brunswick, son of Edward Johnston and Elizabeth (Love) Johnston, according to his birth record in the collection Canada Births and Baptisms, 1661-1959. From Census information, it appears that Edward Johnston was born in Scotland about 1861 and Elizabeth (Love) Johnston in New Brunswick about 1866. Another record, dated September 26, 1917, in the Canada, Soldiers of the First World War 1914-1918 collection, indicates that by 1917, William was working as a civil engineer and living at South Devon, New Brunswick. South Devon and Gibson were, if not the same place, at least adjacent to one another. About 1929, William James Johnston married Luella Audrey Cheyne; they had, I believe, three children. Luella died in 1964 and William in 1976; by the time of their deaths, they were living in Ontario. If you have corrections and/or additions to the information above, or if you feel that Willie was another person, please leave a comment or contact me directly. Gibson, named for founder Alexander Gibson, and South Devon are located on the north side of the St. John River, at the mouth of the Nashwaak River at Fredericton, New Brunswick. February 13, 1837 handwritten document written at Phililps, Maine, where A. Pease promises to pay W. Norton, or U. Norton, $1.80. 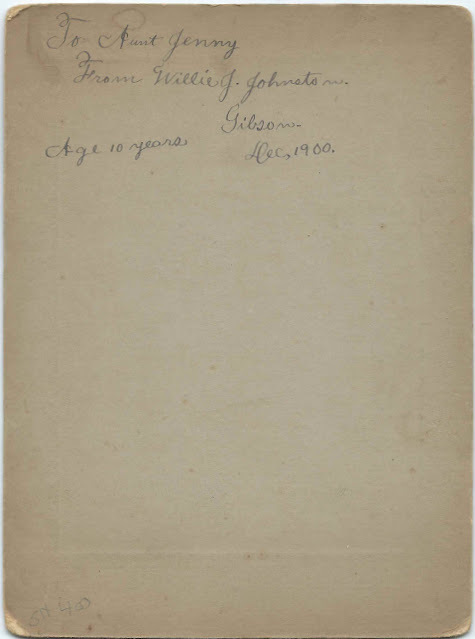 The document measures just under 8" by 2-14". A. Pease may have been Albert Pease, who was born in 1811. 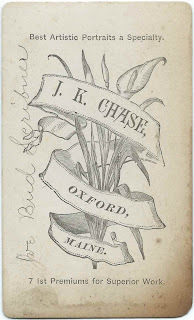 According to his death record, he was born at New Vineyard, Maine, son of Charles Pease and Hannah (Washburn) Pease. Albert died at Phillips, Maine, on July 16, 1898 at the age of 86 years, 8 months and 25 days. If you have a theory as to the identities of A. Pease and W. Norton, or U. Norton, please leave a comment or contact me directly. Click on an image to enlarge it. The difference in color has to do with using two devices for imaging. The document is a light blue in color. Joseph B. Grover included himself on the list of the assessed. In addition, there was a portion of roadway bordered by land held by an unknown owner. If you have information to share on any of the people mentioned in this document, please leave a comment or contact me directly. 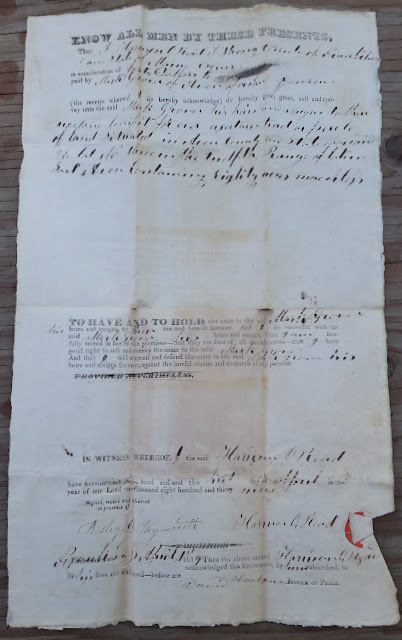 Quitclaim deed between seller James Towle of Freeman, Maine, and Joseph B. Grover of Avon, Maine, regarding a parcel of land at Avon, Maine, witnessed by Samuel Ricker [not sure of his surname] and signed in the presence of John Doyen, Justice of the Peace at Avon, Maine, on April 14, 1847. The parcel measured about 40 acres, more or less. The deed was witnessed by John Doyen and Samuel Ricker, though I'm not positive of the latter's surname. John Doyen was the Justice of the Peace, in whose presence the deed was signed. James Towle may have been the James Towle who appears in a Maine Births and Christenings, 1739-1900, record as having been born July 26, 1807 at Avon, Maine, son of Jonathan Towle and Polly Towle. I believe Polly was Mary Polly (Darling) Towle. In the Descendants of Jonathan Towle, 1747- 1822, of Hampton and Pittsfield, N.H., written by Alvin E. Towle, with the assistance of his son and others, and published in 1903, is mention that James Towle had suffered an injury while logging early in his life and was unable to pursue strenuous labor after that. 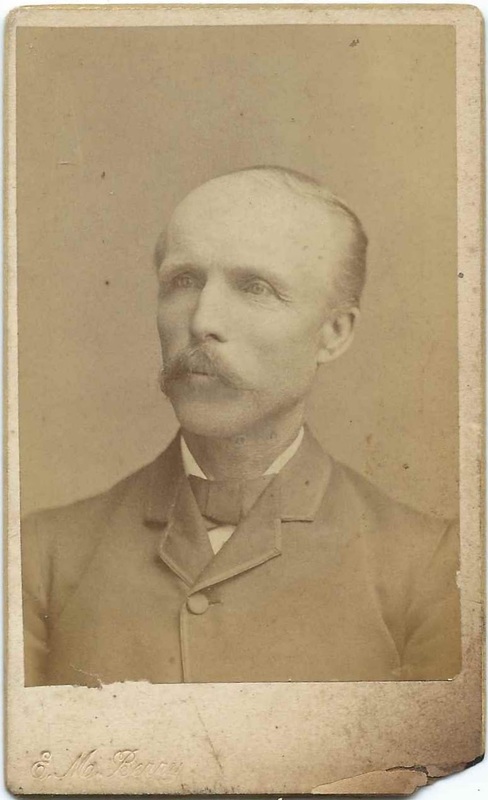 In his 40s, he acquired some education, taught for a while, became a prominent citizen of Avon, Maine, and served for a time in the Maine Legislature. 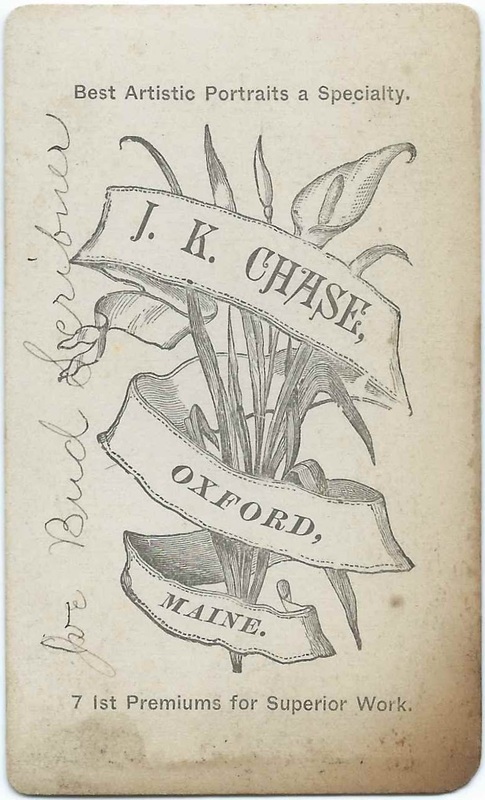 A Maine Marriages, 1771-1907, record shows that James married Lozira W. French at Phillips, Maine, on January 26, 1865. 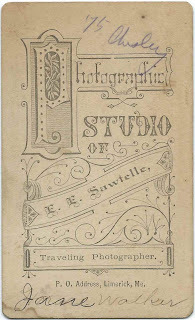 The aforementioned book on Towle genealogy mentions that Lozira was born September 8, 1822, the daughter of Abel French and Phoebe (Whitten) French. 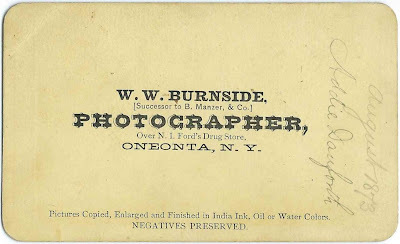 About 1869, James moved to Wisconsin, where his brothers had settled. He died there in 1876. 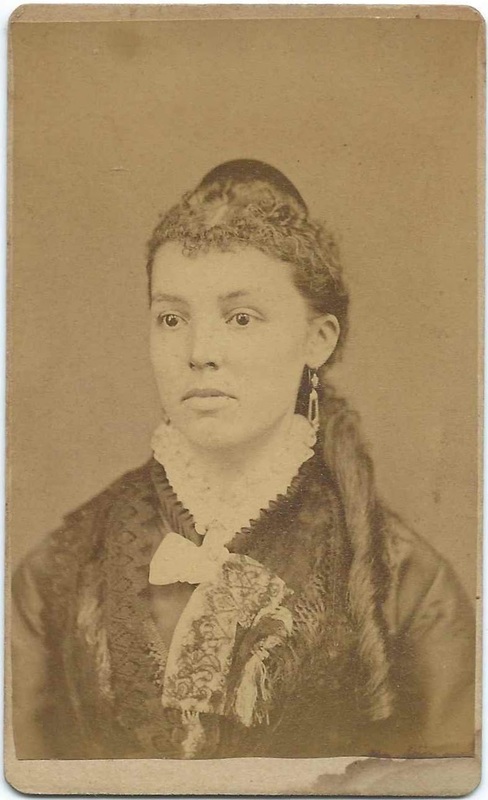 I don't know if Lozira also went to Wisconsin; she died in Maine in 1894. Joseph B. Grover was presumably the Joseph B. Grover who was born July 29, 1819 at Phillips, Maine, son of Mark Grover and Sarah (Bubier) Grover. 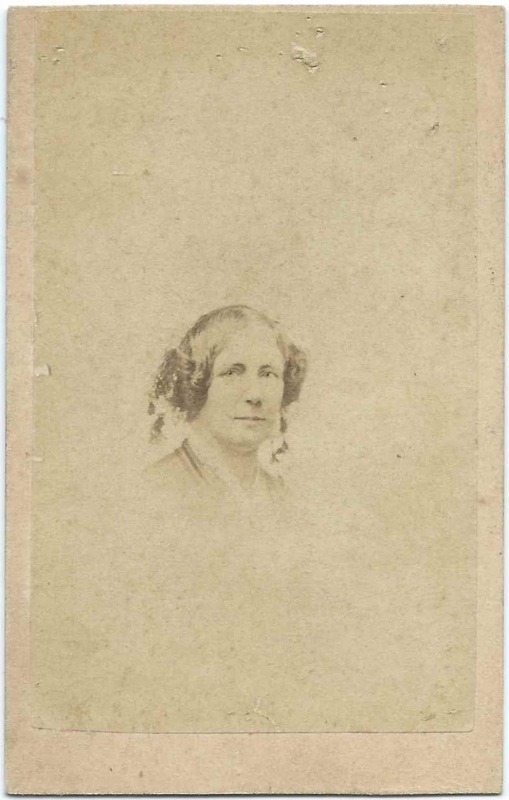 Joseph married Mary Phillips, daughter of Samuel Phillips and Mary (Clark) Phillips, about 1844. Joseph, who died in 1904, and Mary, who died in 1913, are buried in the Evergreen Cemetery at Phillips, Maine. 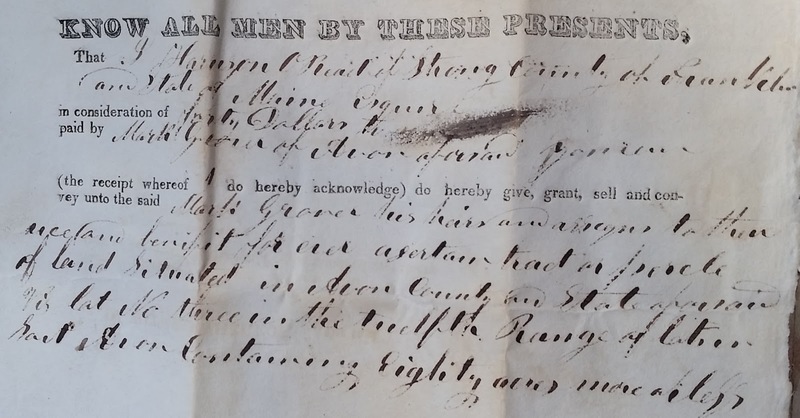 See another post that features an 1839 deed between Harrison Ormond Read and Mark Grover. John Doyen was possibly the John Doyen born March 8, 1784 at Temple, Maine, son of Jacob Doyen and Mercy (Cribbs) Doyen. 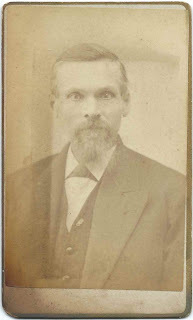 John married three times and had children with all of his wives: 1) Sally Tuck; 2) Lydia Dutton; 3) Betsey Dwelley. John died after the enumeration of the 1850 Census of Avon, Maine. While researching John Doyen, I found an article in a 2013 issue of Discover Maine magazine about his murdered daughter Dorcas, whose mother was John's first wife Sally Tuck. The article is entitled "The Metamorphosis of Dorcas Doyen" and was written by Charles Francis. It appears on pages 58-60. 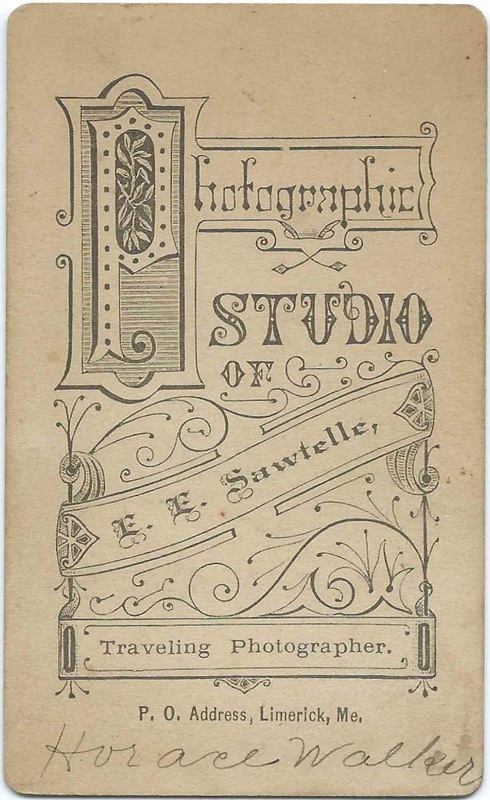 Hopefully a reader will have information on Samuel Ricker or similar surname. If you have corrections and/or additions to the information above on James Towle; Joseph B. Grover and John Doyen, or alternate identities for them, please leave a comment or contact me directly. Deed dated April 1, 1839 between Harrison O. 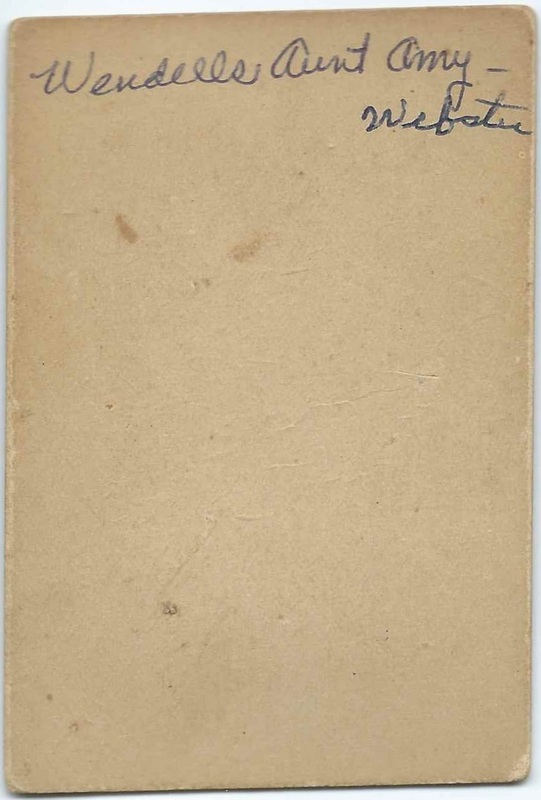 Read of Strong, Maine, and Mark Grover of Avon, Maine, concerning a parcel at Avon, Maine. The deed was witnessed by Wesley D. Weymouth and was signed in the presence of David Harlow, Justice of Peace. A Massachusetts Death Record indicates that Harrison O. Read was born about 1808 at Strong, Maine, the son of John and Abby Read, who were born at Strong, Maine, and Fredericton, New Brunswick, respectively. Harrison died of liver disease at his residence, 33 Fayette Street at Boston, Massachusetts, on July 3, 1883. Harrison's Massachusetts Mason Membership Card indicates that his middle name was Ormond and his birth date was August 14, 1808. 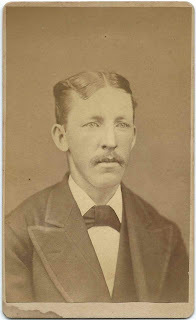 Harrison Ormond Read married Eunice Hitchcock, who was born at Damariscotta, Maine, about 1816, daughter of Benjamin and Violet Hitchcock, according to her Massachusetts Death Record. 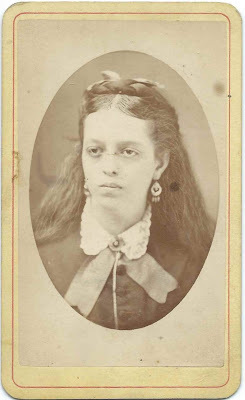 Eunice was still at 33 Fayette Street, when she died on March 2, 1886. Mark Grover was presumably the Mark Grover born about 1788 in Maine. He died September 16, 1862 and is buried in the Pease Cemetery at Avon, Maine, with his wife Sarah (Bubier) Grover, "Sally", who had predeceased him in 1860. 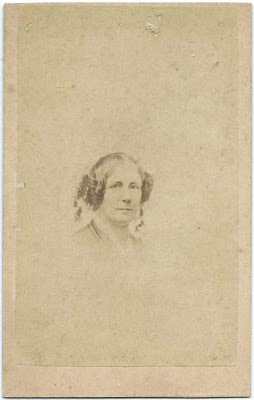 It's possible that Sarah is the Sarah Bubier born June 10, 1792 at Bowdoin, Maine, but I haven't found a definitive source. Wesley Dyar Weymouth was born about 1815 in Lisbon, Maine, son of Nathaniel Weymouth and Sophia (Dyar) Weymouth. The part of Lisbon where Wesley was born later became Webster, Maine, and, even later, Sabattus, Maine. The Weymouth family of Webster, Maine, is mentioned several times in the 1868 diary of Willie E. Jordan of Webster, Maine, the subject of a future post. On April 18, 1841 at Fayette, Maine, Wesley married Sophia Jane Lovejoy, who I believe was the daughter of Ebenezer O. Lovejoy and Mary (Jackins) Lovejoy. Wesley served for a time as postmaster at Fayette Mills, Maine. Wesley died September 10, 1873 at Fayette, Maine; Sophia died in 1876. They're buried in the Fayette Mills Cemetery at Fayette, Maine. Justice of Peace David Harlow was presumably the David Harlow born about January 1791, according to a Maine Veterans Cemetery Record, which notes his death date as October 4, 1874. According to his War of 1812 Pension Application, David and Lydia Murdock married on November 25, 1813 at Minot, Maine, less than a year before David enlisted in Captain Stephen Blake's Company in the Massachusetts Militia; it appears he served for only ten days. David Harlow and wife Lydia, who died in 1883, are buried in the Town Cemetery at Strong, Maine, according to the a record from the Faylene Hutton Cemetery Collection. If you have corrections to the information about Harrison Ormond Read; Mark Grover; Wesley Dyar Weymouth; and/or David Harlow, please leave a comment or contact me directly. 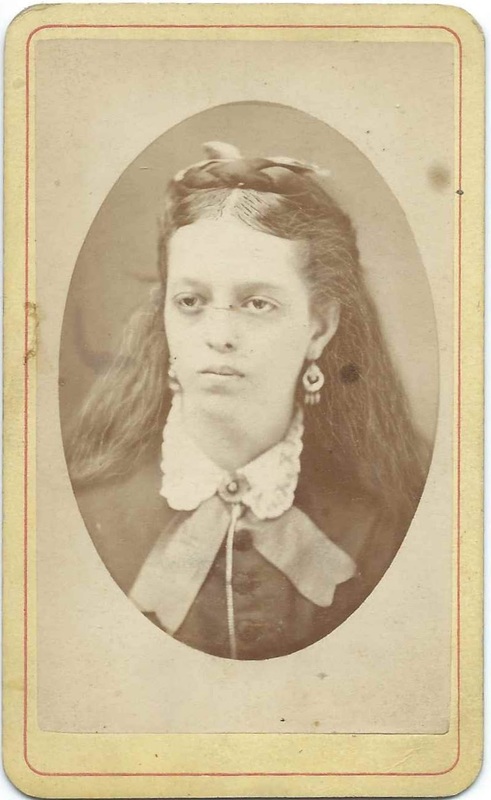 CDV of a Woman Indentified as Wendell's Aunt Amy, either Amy Webster or Amy who Lived at Webster ? Carte de Visite of a women identified on the reverse as "Wendell's Aunt Amy - Webster". Either she was Amy Webster or she lived at a place called Webster. Sadly, there's no studio imprint. 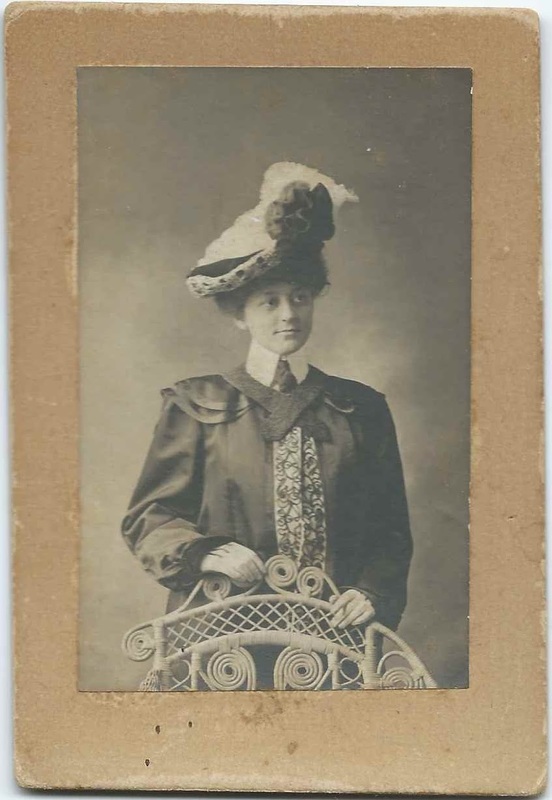 If you recognize Aunt Amy from your family photographs or research, please leave a comment or contact me directly. 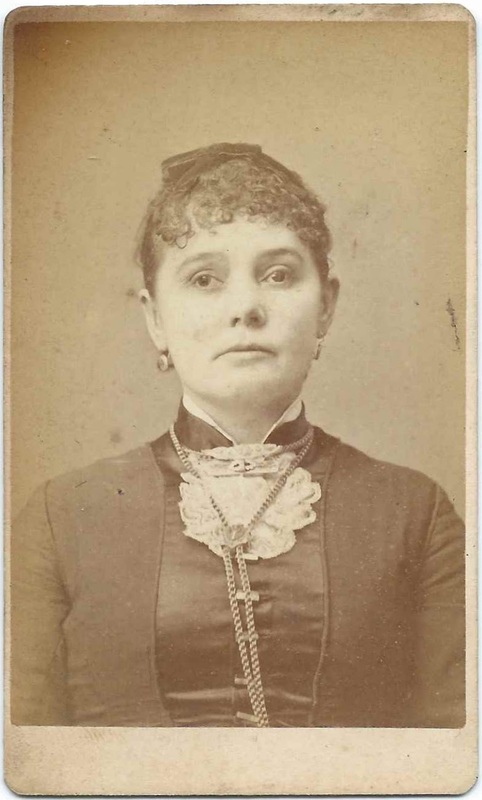 Circa 1860s/1880s Carte de Visite of a woman identified on the reverse as Mrs. Mary An Locke of Plymouth, Massachusetts. Whether her middle name was An and not Ann, I don't know. 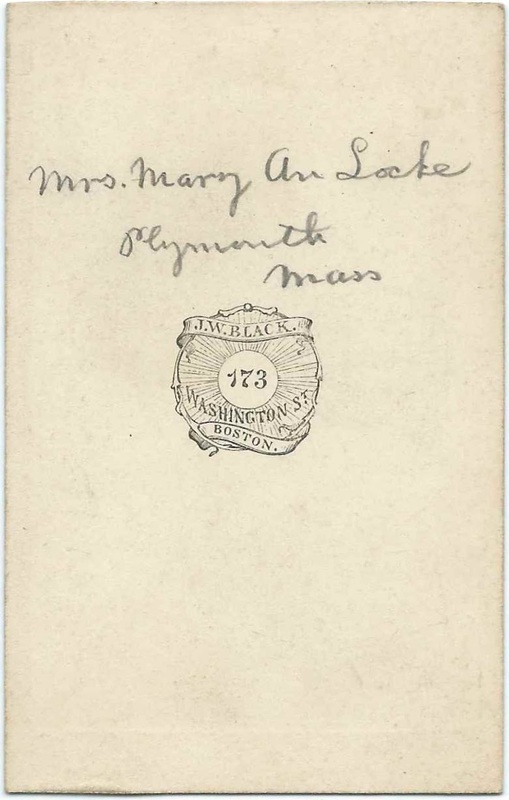 I found several possibilities for a Mrs. Mary Ann Locke, the oldest being Mary Ann (Locke) Locke, daughter of Joseph Locke and Lydia (Goodwin) Locke and wife of her cousin Albert Locke of Lowell, Massachusetts. Albert was the son of John Locke and Hannah (Goodwin) Locke, who was a sister to Mary Ann's mother Lydia (Goodwin) Locke. That Mary Ann was born March 11, 1809 at Billerica, Massachusetts, where her father had a legal practice. Read more about Mary Ann's father, Judge Joseph Locke, here, in "Book of the Lockes. A genealogical and historical record of the descendants of W. Locke, of Woburn. With an appendix, containing a history of the Lockes in England, also of the family of J. Locke of Hampton, N. H., and kindred families and individuals", published by John Goodwin Locke in 1853. 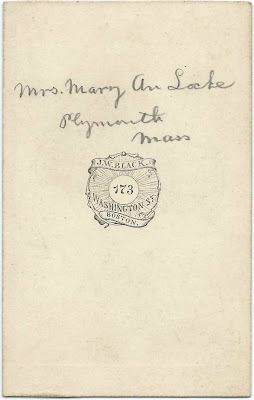 According to Massachusetts Deaths 1841-1915, Mary Ann (Locke) Locke died August 20, 1873 at Plymouth, Massachusetts. Albert had predeceased her in 1840. A mention of Albert in "Descendants of Francis Le Baron of Plymouth, Mass", published by M. Le Baron Esty Stockwell in 1904, shown below, has the wrong death year for Mary Ann. Mary Ann (Locke) Locke and Albert Locke had one child, a son Joseph Albert Locke, born, according to the excerpt above, on October 31, 1839. If you have corrections to the information above or if you feel that Mrs. Mary An Locke is another person, please leave a comment or contact me directly. Circa 1890s/1910s calling card of Edwin E. Allen of Sanford, Maine, a printer. Appropriately, Edwin's name is superimposed over a graphic of a printing machine. His death record and gravestone show that Edwin E. Allen was born in 1869 at Sanford, Maine, the son of George Allen and Hannah (Carpenter) Allen. On January 13, 1896 at Rochester, New Hampshire, Edwin married Hattie B. Wescott, daughter of Charles Wescott and Arvilla (Hodgdon) Wescott. 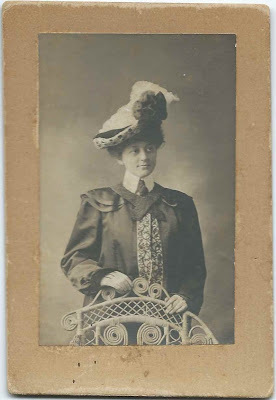 Hattie was born at Cornish, Maine, about 1878. 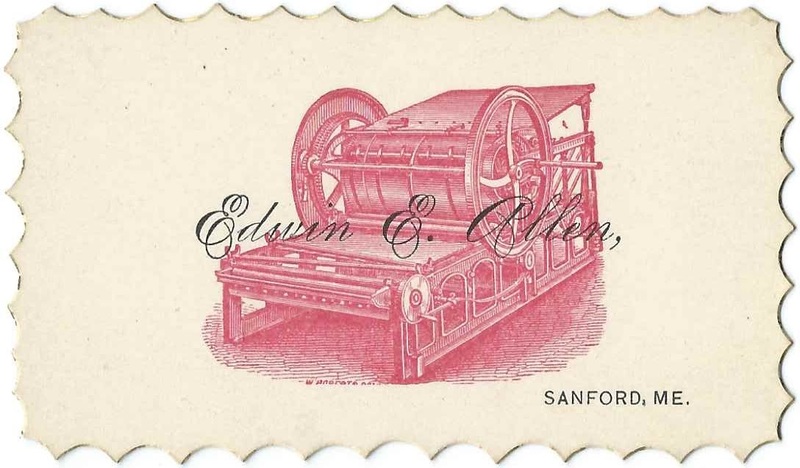 Edwin and Hattie lived at Sanford, Maine, where Edwin worked as a block printer at a woolen mill. They had a son who died in infancy in 1898. Edwin died in 1914. Five 1870s/1880s Cartes De Visite of the Scribner family of Otisfield, Maine. Click on any image to enlarge it. 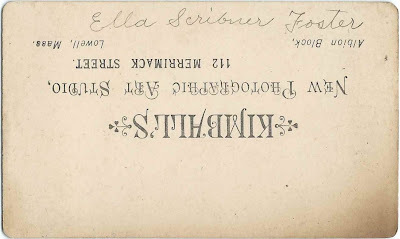 At least 3 of the CDVs depict siblings, I believe, the children of Latham Ford Scribner and Sarah Jane (Scribner) Scribner of Otisfield, Maine. 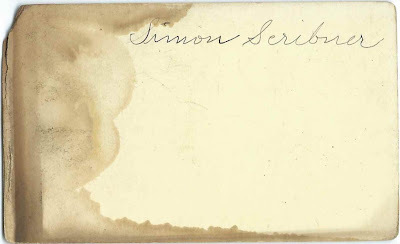 Simon, shown above in a CDV made at the Edward M. Berry studio at Bridgton, Maine, may have been the Simon Scribner born May 9, 1845 at Otisfield, Maine, son of Latham Ford Scribner and Sarah Jane (Scribner) Scribner. He married Emma Turner, daughter of Henry Turner and Mary Jane (Sampson) Turner. 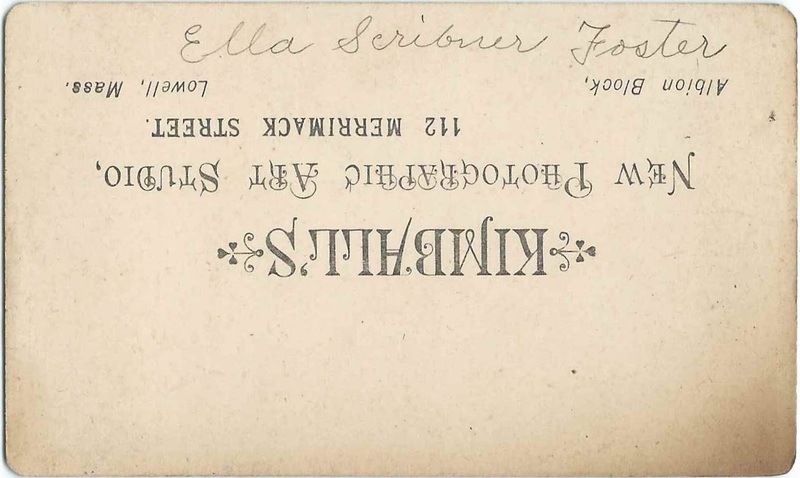 Below, a CDV made by the Kimball studio of 112 Merrimack Street, Lowell, Massachusetts, depicts Ella Scribner Foster. I believe she was Ella J. (Scribner) Foster, born June 11, 1855 at Otisfield, Maine, daughter of Latham Ford Scribner and Sarah Jane (Scribner) Scribner and wife of James Foster. 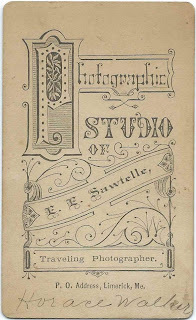 Two CDVs, below, made by the E. E. Sawtelle studio at Limerick, Maine, depict Jane Walker and Horace Walker. I believe they were Mary Jane (Scribner) Walker, born June 11, 1853 at Otisfield, Maine, daughter of Latham Ford Scribner and Sarah Jane (Scribner) Scribner, and Jane's husband Horace Dunbar Walker, son of Franklin Walker and Frances (Bailey) Walker. 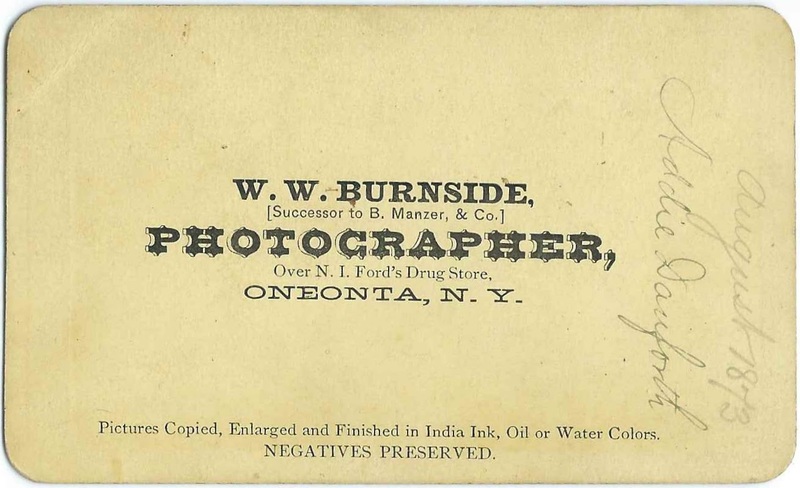 The CDV below, taken by the J. K. Chase studio of Oxford, Maine, depicts a fellow identified as Joe Bud Scribner. 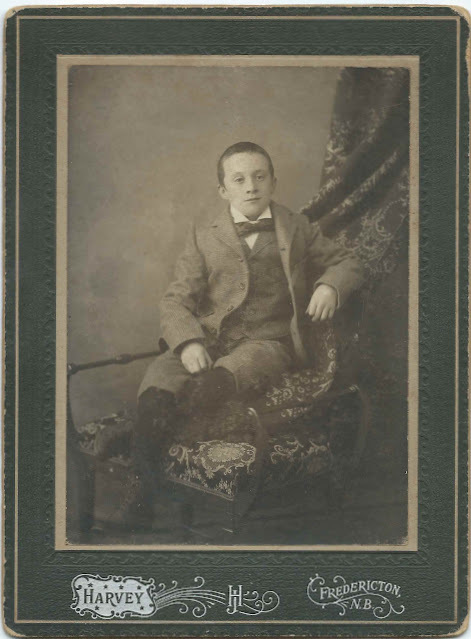 He may have been named for John "Bud" Scribner, perhaps the younger Bud's father or grandfather. Hopefully a reader can identify him further.